here’s a little baby, one.. This month is a busy birthday month for our family, and I know of several friends’ grandchildren and children being born. 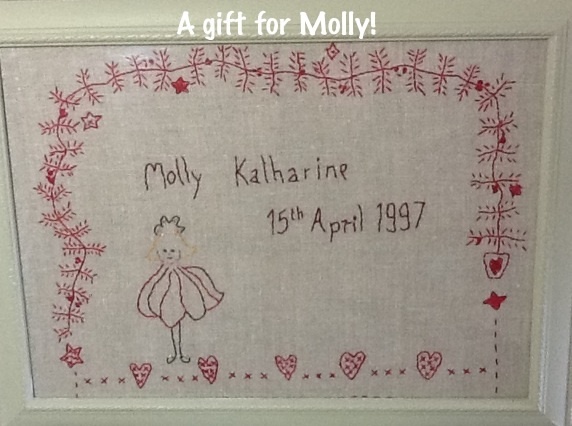 Commemorating the birth of a baby is the first opportunity in a life-long tradition of present-giving, of precious keepsakes and celebrations to mark the momentous events. Reminiscing about the baby gifts for our daughter’s birth 16 years ago in April, l remembered a favourite baby book. I think that every new baby needs to be honoured with a copy ‘PEEPO’ by Janet and Allan Ahlberg. It’s a delightful and wonderfully illustrated book, which you will read over and over again with your baby as she/he grows up. You can pour over the lovely pictures for hours. 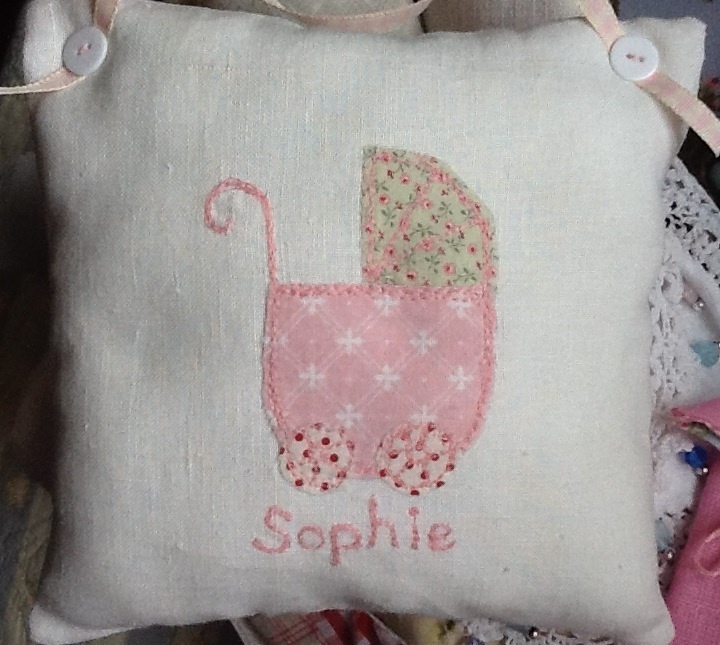 Looking again at these lovely images I was inspired to create little pillows for newborn boys and girls, with pretty embroideries depicting charming old fashioned prams, made out of pink or blue complimenting/contrasting fabrics. 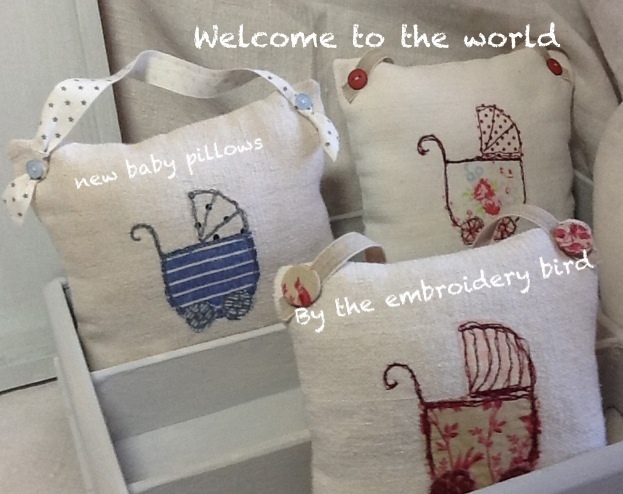 These would make perfect gifts for brand-new babies. Breaking away from my usual hand-embroideries, and because I am currently addicted to it, I have made these using free-hand machine embroidery on to appliqué fabric. 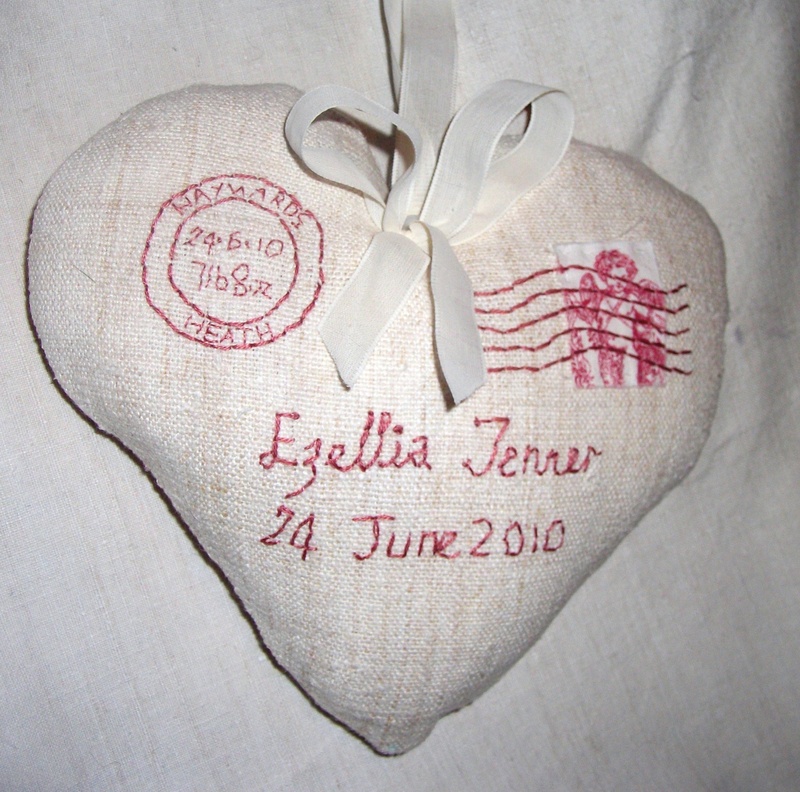 I have also created customised versions with an embroidered name or date of birth stitched on. 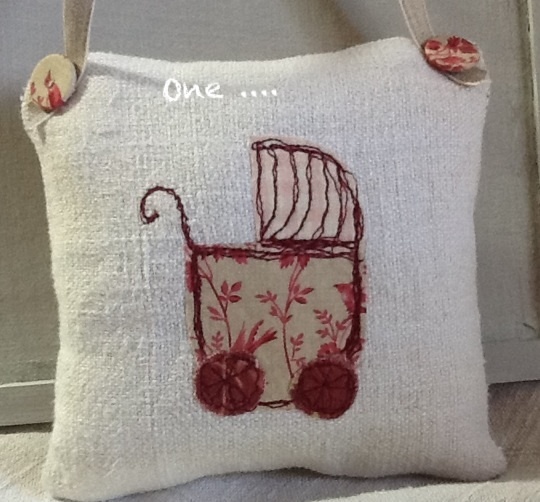 Envisaging the pillow hanging on the door or chest of drawers in the nursery, I have filled the pillows with fire-safe, allergen-free and washable toy stuffing. 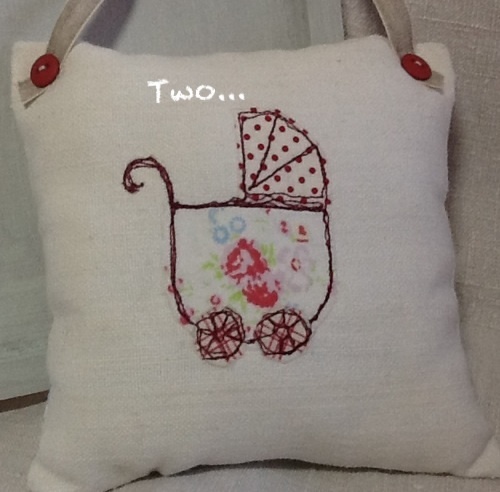 These can be scaled up in size to become removable cushion covers and I am also working on a range of designs. 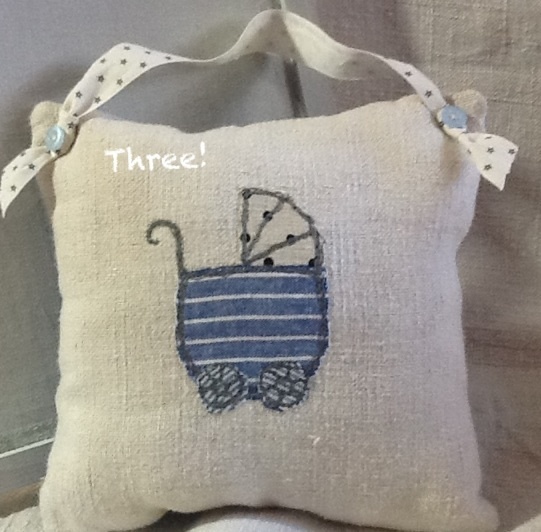 Here’s a Little Baby – one, two, three..